It is faster than you, stronger than you and better looking than you. It is always just steps ahead of you, and until you catch it, you would never know it is there. It is your best self. How are you going to find it? Introducing adidas FitSmart. 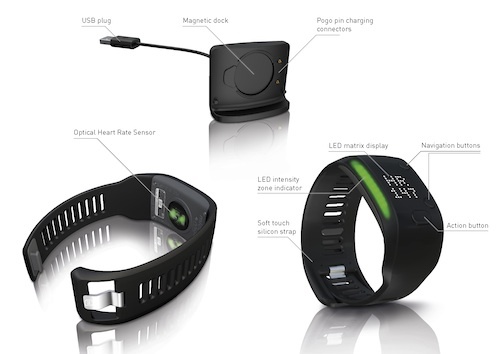 Designed for running, training and fitness, adidas FitSmart is unlike many of the activity trackers on the market today. It measures heart rate response to physical activity and then guides you on how to train at the right intensity for the best results. Intended for those seeking meaningful guidance and feedback, adidas FitSmart works with an all-new mobile app experience aimed at helping people set and reach weekly goals, as well as commit to longer term training plans. Provides at-a-glance visual guidance on your current workout intensity presented in color zones. Vibration and visual prompts provide feedback and coaching so you can make the most out of every workout. Set weekly goals to keep track of your progress and motivate you to get better. Stores up to 10 hours of workout data. 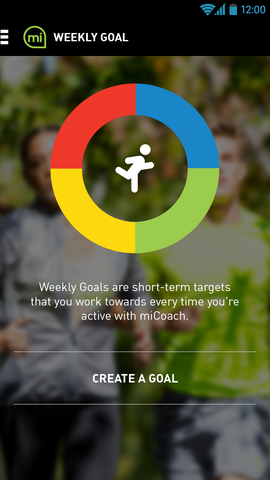 Syncs with the miCoach platform, using Bluetooth Smart, via the miCoach Train and Run app on the user's mobile phone. Customize wristband settings and access hundreds of free training plans. 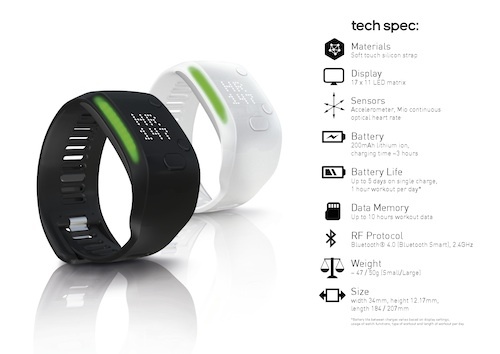 Built-in accelerometer measures stride rate, pace, speed and distance for walking, jogging and running. You've always known that your best self was there. Now you have the tools to go find it—adidas FitSmart.